WINNER: The DAF XF105 is a great workspace and (above right) the sleeper cab of the XF105. DAF, the ultimate driver's truck and thoroughbred driving machine designed for long haul travel, has shone in this year's Australian International Design Awards. The XF105 offers world class safety features and a spacious, comfortable cab that is well-equipped and beautifully finished. Designed by engineers from behind the wheel and tested in rugged Australian conditions, the DAF can now boast an Automotive and Transport Australian Design award. An expert panel of judges from Good Design Australia selected the DAF XF105 as winner of the Design Award for the Automotive and Transport category. The XF105 was a star amongst 12 other well regarded finalists within the category, such as the Range Rover Evoque, Jaguar XFR, Audi Q3, Hyundai i40 and Mazda CX-5. The judges praised XF105 designers for "the thought (that) has gone into cabin ergonomics, comfort and refinement". Both Australian and internationally-designed new products available for sale in Australia, were eligible to win the 2012 Australian International Design Awards. In order to qualify as a finalist, the XF105 had to exceed the judge's opinion in five key criteria for good design: form, function, quality, safety and sustainability. To acclaim the Design Award trade mark, the XF105 also had to meet the criterion for design excellence in innovation. Good Design Australia presented the awards at Sydney's glorious City Recital Hall recently, where representatives of the 105 finalists celebrated their nominations in Australia's most prestigious and longest running design recognition program. Neil Willox, marketing manager of PACCAR Australia, accepted the award on behalf of the DAF team. "It's gratifying for the DAF design team to be recognised by a highly-respected independent panel of judges who, by the nature of their roles, are exposed to some of the best designed products in the world. "The judges seek excellence and quality in design, so it's a pleasing result for the DAF brand to have the XF105 held in such high regard," Mr Willox said. 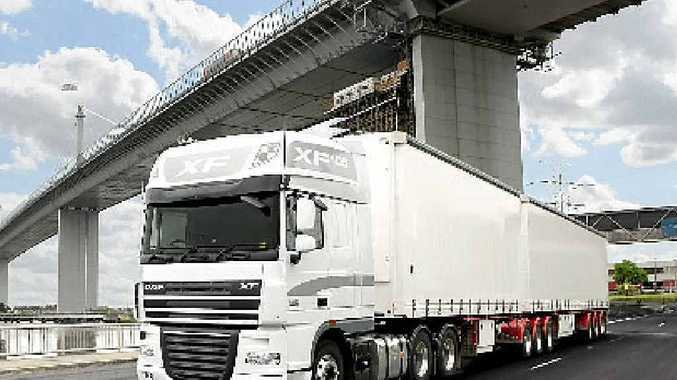 "The DAF XF105 is a world- class product, which has already earned a reputation with Australian operators for outstanding comfort, safety and efficiency; and its great design that underpins it all." The AIDA Design Award adds to the long list of accolades that the XF105 has earned since its launch, including Truck of the Show honours in March this year at the 2012 International Truck and Trailer Show in Melbourne.